This Cala Millor Map shows popular Cala Millor Attractions, places of Tourist interest &Transport locations Click the name in the right column below to highlight the location on the map. 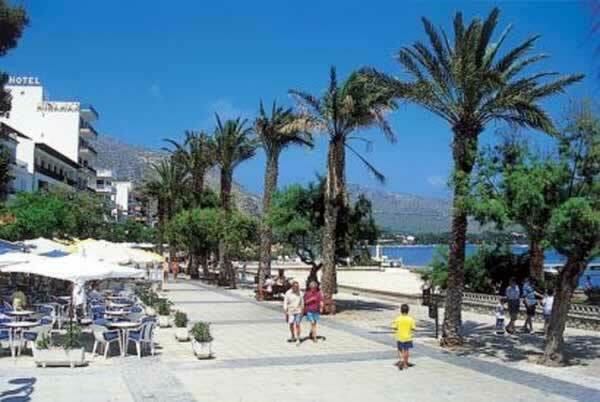 With it's long beach Cala Millor is one of the most popular resorts on Mallorca, Majorca to the Brits. For a pleasant walk, stroll along the front to the North and visit the resorts of Cala Bona & Port Nous. There are pleanty of bars and restaurants if you want a thirst quensure, snack or meal along the way. 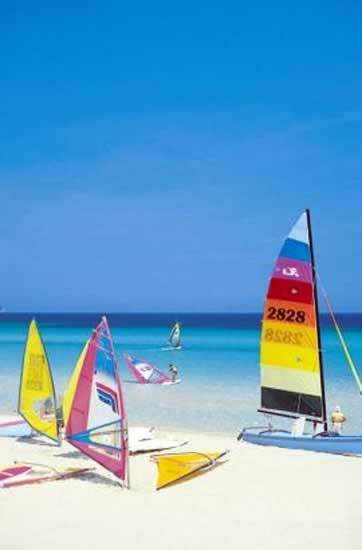 These three resorts form one continuous super resort stretching 7 kilometres along the sea front. After a very short gap is the resort of San Jordi. The neighbouring resort of Cala Bona with its colourful harbour, waterside cafes and restaurants is only a short trip along the promenade. Alternatively head south and take a robust walk to Punta de n'Amer nature reserve and the 17th century watchtower above. Then have a well deserved drink at the summit and take in the views. 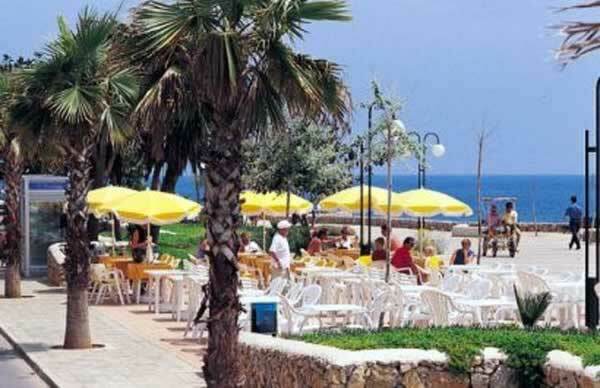 Cala Millor sits on Majorca's pretty east coast, with Cala Bona and Sa Coma. Its a diverse resort with much to offer to all visitors, particularly those seeking a modern, exciting destination. 6 shower points are located along it's length. Most of the beach is of fine sand , but as you approch Cala Bona you come to a rocky section for about 800 metres then the beach starts again in Cala Bona. 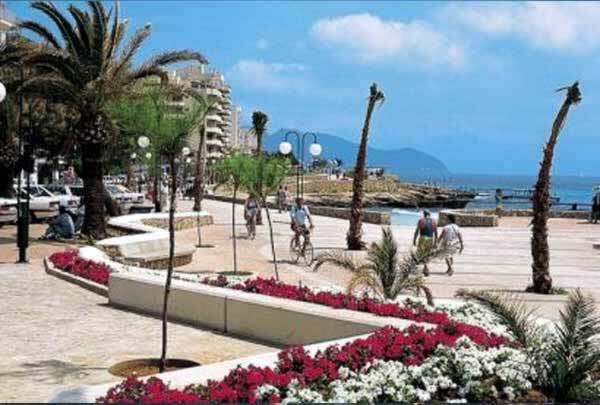 There is a plentiful supply of bars, restaurants, cafe and shops all along the sea front. 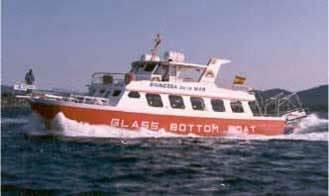 2 of the boats belonging to illabalear. There are some boutiques and jewellery shops in Cala Millor, but for more impressive shopping head to the Monday market in Manacor 15-20 kilometres inland. Manacor also has a pearl factory. There is a bus service to Manacor which is a regional transport hub. 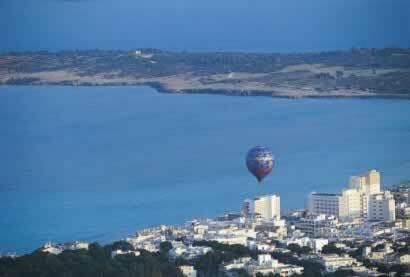 The main connection is to the capital Palma with fabulous shopping in its ultra modern shops, stores and boutiques, there is even a C&A's store. Of its nearest neighbours, Cala Bona and Sa Coma, Cala Millor is by far the liveliest, with a few discos to court the late-night crowd (though even here, spring and late summer are quieter). There are plenty of British Bars and most of them provide evening entertainment that can include live music, professional entertainers, quizzes, karaoke, bingo and tv style game shows. There are plenty of good fish restaurants, some also serving international cuisine. They are quite spread out along the seafront so leave plenty of time to make a choice. The headland of Punta de N'Amer is an area of special interest by the Balearic Islants government. The 200 hectares are extremly attractivewith a mixed landscape of sand dune and pine forestation, along with the added attractin of it's small castle and fabulous views. 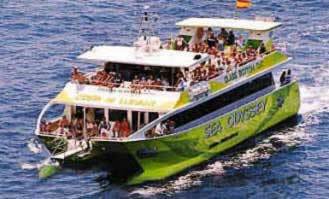 A tourist mini train, and the local buses and longer distance buses runs along the main roads that run the full length of the resorts of Cala Millor and Cala Bona. Located at Parc de la Mar the massive sea front roundabout .